ETH Zurich pavilion was constructed of waste materials and opened to visitors during the IDEAS CITY Festival in May 28-30, 2015. The 3-day biennial festival takes place in New York City in May mapping the future of cities with culture as a driving force. It is a collaborative event, including a conference and street festival, inviting to civic action, as well as giving a platform for creative ideas to be exchanged. This year’s theme was inspired by Italo Calvino’s literary work Invisible Cities (1972). Participants explored questions such as transparency and surveillance, citizenship and representation, expression and suppression, in their daily lives. The ETH Zurich pavilion hosted events through the festival. What does a truly smart city mean to us was a highlighted theme around the site. The pavilion was entirely made of waste, so while our answers to what smart cities are can be many, an important question is the future scaling of consumption in the cities. ETH Zurich poses a sustainable approach where we need to reconsider what we can do with all the waste that now ends up in landfills. Some solutions include tackling the pre- and post-consumer waste, while transforming it into construction materials like bricks and panels, which then can be used in making future buildings, homes and new products. 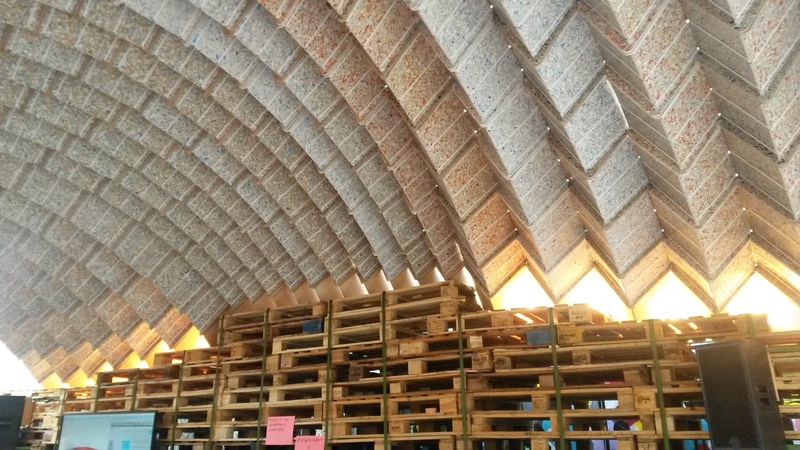 The pavilion is designed with a vault-like roof, showcasing bricks made of waste. It displays engineering technique that minimizes the use of material through the structure of the design. It lets in a good amount of daylight and feels airy. 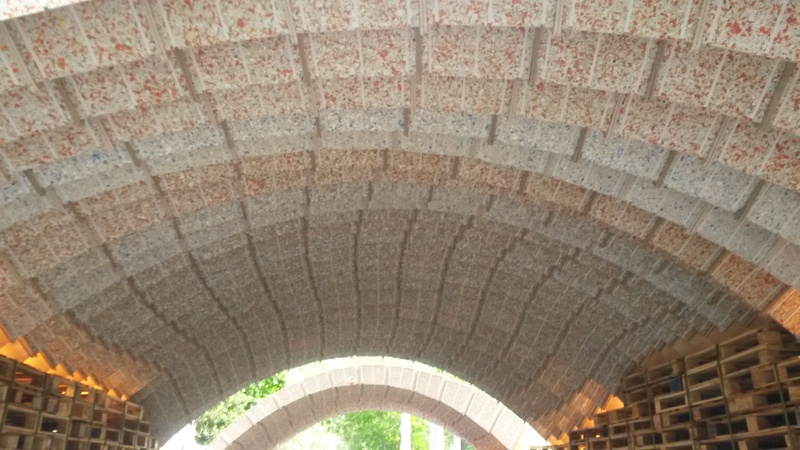 The structure brings into mind Guastavino tile vaulting as source of inspiration. Some of the Guastavino vaulting can be seen for example in New York subway’s abandoned City Hall station. In that context, the vaulting benefits from a technique that uses self-supporting arches with standardized size tiles. What this Pavilion truly showcases is that in the future, cities will hopefully optimize the designs so the structures will occupy less space. Big cities like New York struggle with lack of space, so fitting the pavilion in-between the buildings in downtown 1st avenue looked and felt smart and savvy. The expressive Pavilion was designed to ‘visually float in the narrow slot between the buildings of First Street Garden.’ It is designed by the ETH Assistant Professorship for Architecture and Construction, Dirk E. Hebel and the Block Research Group. What the structure also implies aesthetically and visually is the potential of design to utilize so unstandardized and ‘weak’ materials in construction. The Pavilion’s shape follows the flow of forces, resulting in a compression-only vaulted structure. It has a double curvature and triangular beam-section, giving the structure a higher depth for the same thickness and weight. ETH Zurich pavilion hosted panels and presentations, where participants pondered what a truly smart city means to them. 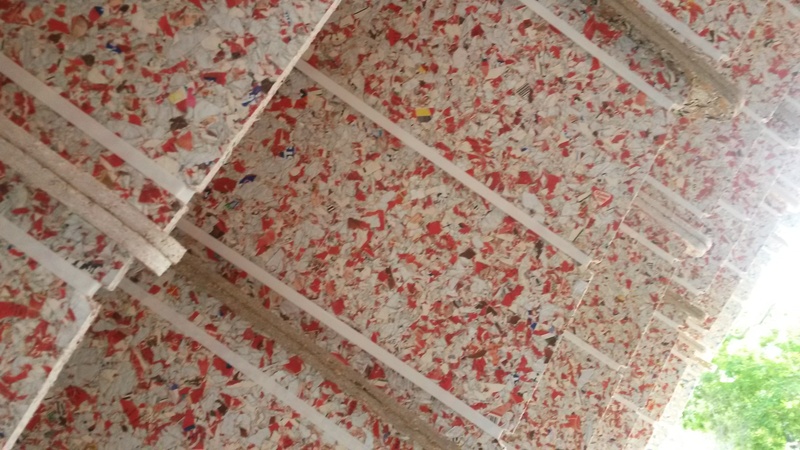 It also curated an exhibition ‘Building from Waste’, which had over 25 construction materials deriving from waste.